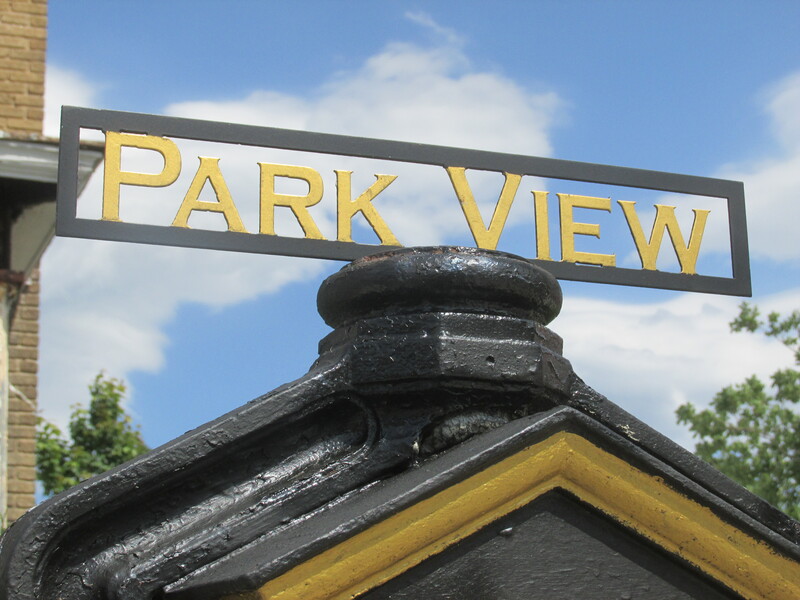 Park View Fire Call Box Harps Get Spruced Up | Park View, D.C. 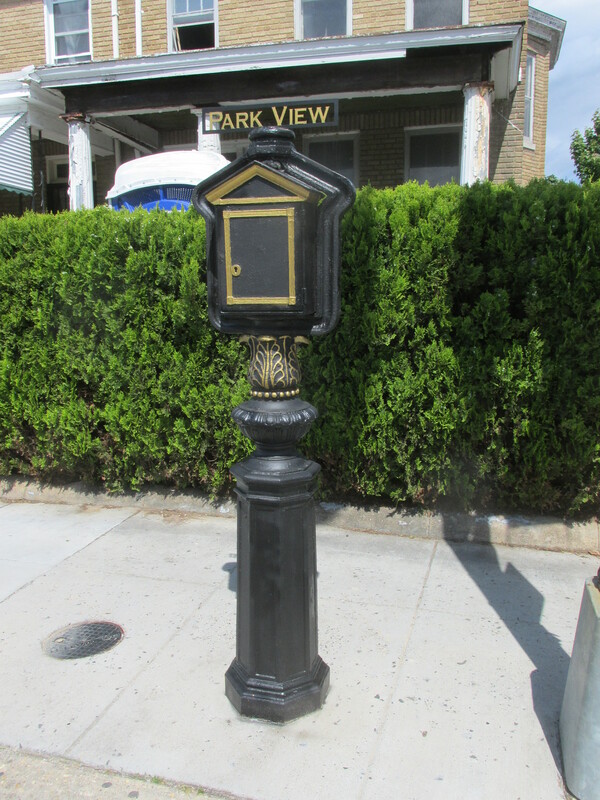 Recently, the three remaining fire call box harps in the neighborhood were spruced up. Each of them was painted black with gold accents. I especially like how the neighborhood name was added to the top of each. While there are only three of these in the neighborhood presently, there were at least twelve fire call stations in Park View at one time. Over the past decade, I know of two harps that were taken out by cars, and the call box harp at Princeton and Georgia was nearly lost in 2011 when DDOT removed it during street construction. I successfully advocated for the harp’s return specifically with the idea that it could be part of an art project along with the other harps. The recent improvements to the call boxes really enhance the streetscape where they are located. Perhaps, eventually, we’ll be able to incorporate some small art or images where the call boxes were once located as well. This entry was posted on May 15, 2017 at 7:01 am and is filed under Art, streetscape. You can subscribe via RSS 2.0 feed to this post's comments.